8 min. exposure on Ilford HP5+ pushed to 3200 ISO, 80mm lens at f/4. 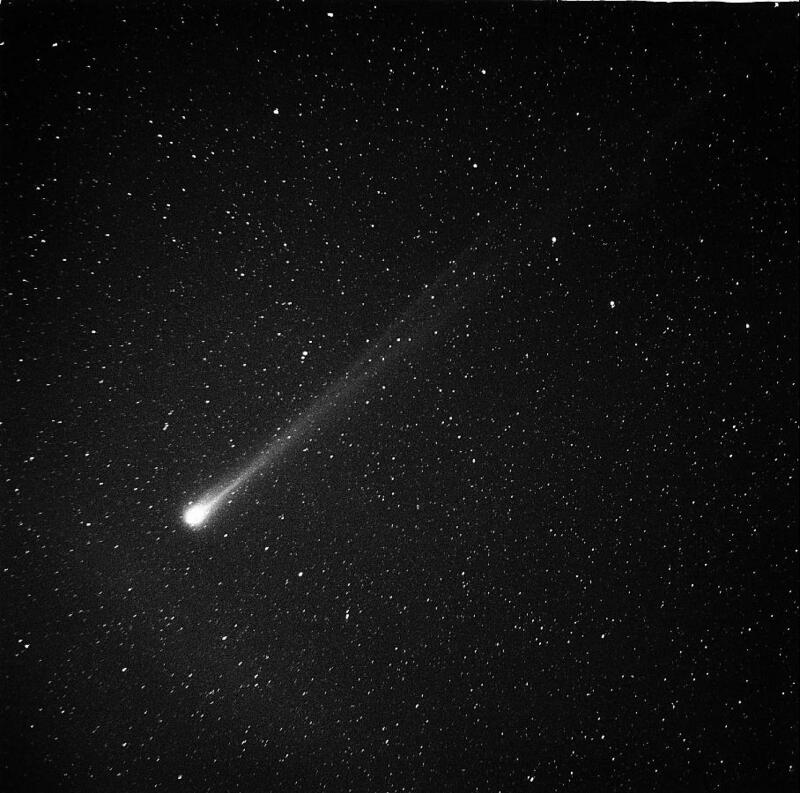 The photos were taken with a Rolleiflex on a barndoor drive (courtesy of Martin Sirk) about 10:00 UT on March 26, 1996 from Marin County, CA. Those with 8-bit monitors may want to scale the large image by adjusting the contrast (set gamma to about 3).